I wrote this script to generate random stripe patterns for sweaters, scarves, blankets, etc. It'll give you an idea of what the finished object will look like, but it still leaves some unpredictability to the stripe pattern. 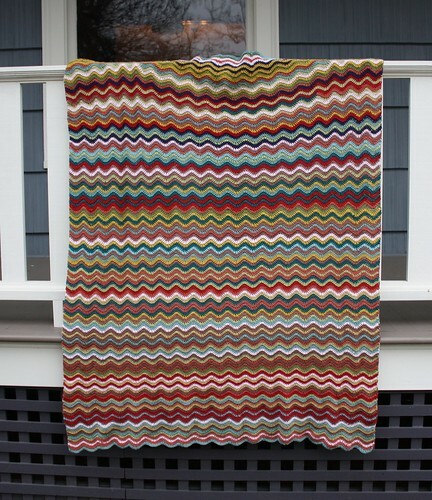 Try it out by entering your colors and desired stripe widths below. If you have limited amounts of certain colors, try the weighted Random Stripe Generator. 2. Which stripe widths should be allowed (i.e., 1 row wide, 2 rows wide)? 3. Approximately how many rows total would you like generated (max. 1000)?